Hey All! I don't know if you noticed or not, but the blog got a makeover recently. What do you think? I really love the way it looks now! I'm showing you this polish a little out of season, but eeeh, who cares? Today I have KBShimmer Jack to show you. 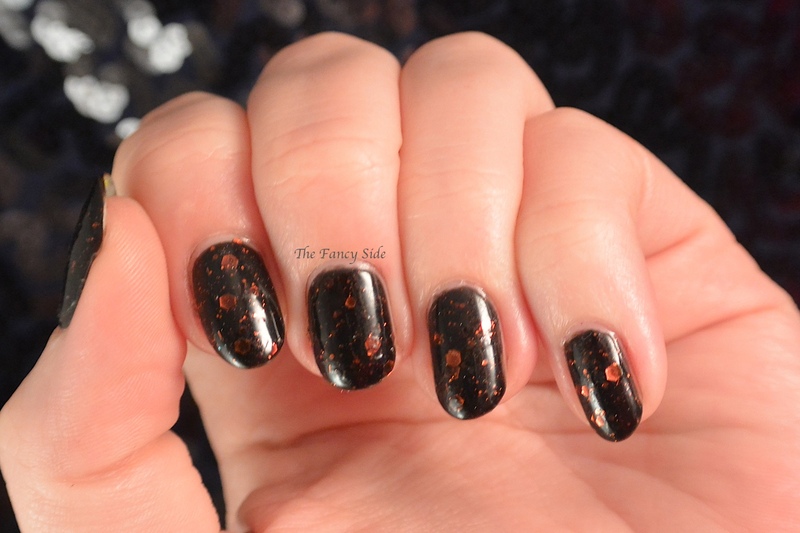 Jack is a blackened jelly base filled with multiple sized orange hex and bar glitters. 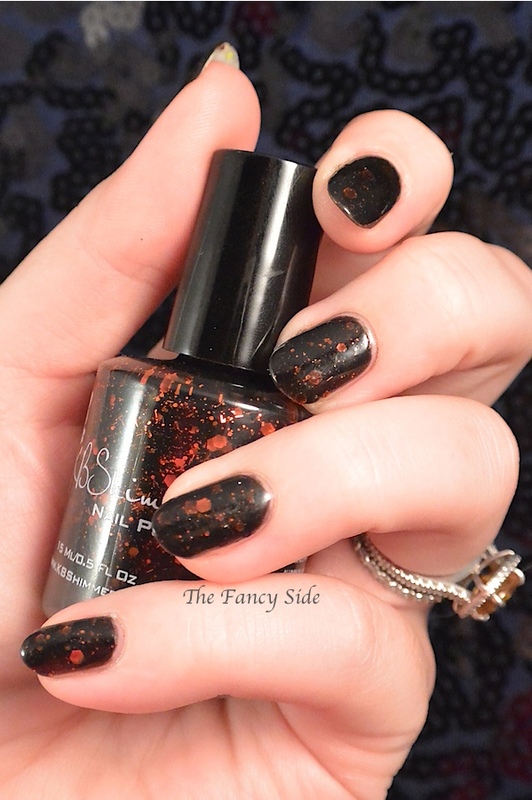 The glitters give this polish a glow from within that I absolutely adore. 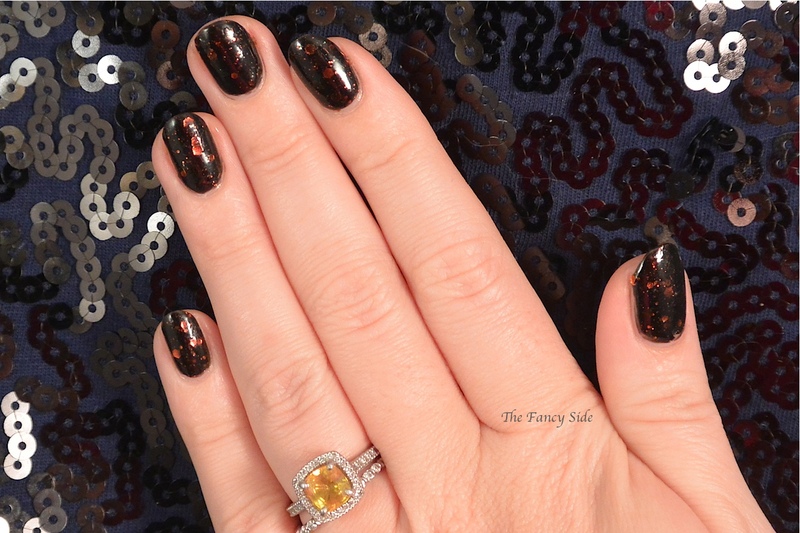 Jack was a limited re-release with the Fall Collection and is technically a Halloween polish, but I think it is appropriate as a fall polish as well. What do you think?